Seasons At Naples Cay Naples Cay Condos: Capture the finest of The Seasons at Naples Cay. Exceptional architectural design specifications featuring expansive walls of glass with stunning Gulf views. This estate residence encompasses over 7,700 sq ft including a Grand Salon perfect for entertaining to its finest, Family room with a cozy fireplace, chef's delight with gourmet kitchen, butler's pantry and wine cooler. Enjoy the master suite with its own private terrace and study along with two large custom walk-in closets in addition to three spacious guest en suites, a library full of exquisite built-ins and your very own exercise room with private sauna at your fingertips. This residence includes an enclosed two car garage spaces with a private elevator entrance… truly lives like a single family home with all the exclusivity of Naples High Rises Finest. Steps from the beach, shopping and fantastic dining At the Village on Venetian Bay and Waterside Shops. Spacious…Private…Secure…with unsurpassed amenities. Seasons At Naples Cay Naples Cay Condos: Spectacular beachfront and Gulf of Mexico views providing year-round sunsets can be enjoyed from this large 14th floor 4,750 square foot, four bedroom and a den residence in one of Naples most luxurious high-rise buildings. Impeccably presented, with c. 10.5 foot ceilings, this light and bright floorplan provides for a large west facing living/dining room, magnificent gourmet kitchen/breakfast room opening through to an extensive family room, two oversized outdoor terraces together with two side-by-side parking bay garage spaces. Combining the outstanding amenities of The Seasons located inside the gated beachfront community of Naples Cay, this residential lifestyle is the best that Naples has to offer. Beach House At Naples Cay Naples Cay Condos: C.15880 - Rarely available PENTHOUSE! Only one of three Penthouses in Beach House at Naples Cay. This 33 unit intimate boutique style building is literally JUST STEPS TO THE BEACH! Listen to the waves rolling onto the sand. Spectacular never ending Gulf Views and Sunsets! Beach House PH-01 offers a PRIVATE ROOFTOP TERRACE, cathedral ceilings in the living/dining areas, custom mirrors and wood trim in the living room, marble flooring throughout, and a built in wood bookcase to the ceiling in the living/dining area. Freshly painted throughout as well as the marble floors having been polished and sealed throughout. TWO DEEDED GARAGE SPACES. PET FRIENDLY BUILDING, allowing up to two dogs up to 15" in height to the shoulders. New A/C installed Feb. 2019, and newer water heater. Naples Cay is nestled between Park Shore and Pelican Bay, a hidden jewel of a community offering a unique level of privacy and tranquility, yet is within walking distance to fine dining, shopping and entertainment to Venetian Village, Waterside Shops and Artis-Naples. Villas Raphael Naples Cay Condos: V.2844 - This is a very rare opportunity to own a spacious villa on the beach! Tastefully finished, 4BR/4BA home with over 3100 sq. ft. of LA looking directly at the Gulf of Mexico! Updated baths & kitchen, casual beachy decor and a brand new private elevator! Just a few steps away from your screened lanai, and your toes are in the sand! The graciously sized living, dining and master bedroom all have incredible Gulf views with over-sized sliding doors and the master bedroom has its own sun deck. Attached 2 car garage makes for an easy lifestyle. Two new HVAC systems, new hot water heater, recently replaced roofs and exterior renovations, including all new impact windows and doors, plus other improvements! This fresh, pristine property is a haven for beach lovers who want to enjoy the privacy of a single family home with the convenience of a well-managed and maintained condominium. This exclusive enclave of just 11 villa homes is nestled between Park Shore and Pelican Bay, behind the gate of Naples Cay. The nearby Waterside Shops, Artis Naples and Mercato will satisfy all your discriminating dining, shopping and entertainment desires. Step into this world-class lifestyle today! Beach House At Naples Cay Naples Cay Condos: C.15774 - RARELY AVAILABLE! Meticulously maintained and remodeled 2 Bdrm plus Den END UNIT condo at Beach House at Naples Cay, just steps to the beach! TWO PARKING GARAGE SPACES. Light and bright, this sleek and sophisticated open floor plan offers amazing Gulf views and the sounds of the crashing waves of the Gulf of Mexico. This is truly a "beach house" condo. Remodeled kitchen with wood cabinetry, lots of storage, and newer stainless steel Thermador appliances. Remodeled large master bath, guest bath, half bath and laundry room. In 2017 Bosch A/C and HTP stainless 80 gallon water heater were installed. Nothing to do but move in and enjoy the luxurious yet laid back lifestyle of Naples Cay beachfront living. Only 33 units in this intimate boutique style building on the beach. Naples Cay is nestled between Park Shore and Pelican Bay, a hidden jewel of a community offering a unique level of privacy and tranquility, yet is within walking distance to fine dining, shopping and entertainment to Venetian Village, Waterside Shops and Artis-Naples. Centrally located in Naples. Short drive to Mercato and 5th Ave.
Baypointe At Naples Cay Naples Cay Condos: C.15649 - Rarely available END UNIT in Baypointe at Naples Cay. This 6th floor condo with NINE FOOT CEILINGS offers sweeping Gulf, Bay and City views from TWO LARGE LANAIS. TWO ASSIGNED PARKING SPACES. The expansive windows in the living room offer natural light all day long. The den could be used as a third bedroom and easily converted into a bedroom. Brand new water heater installed Nov. 2018. Baypointe at Naples Cay just completed a spectacular renovation of all common areas in Dec. 2018: lobby, community room with large caterer's kitchen, owner lobbies (3 units per floor), three guest suites, a new sunset deck overlooking the Gulf with two new fire pits -- even the garage was painted. PET FRIENDLY BUILDING allowing two pets with no weight or height restrictions, which is rare for condos. Just steps to the beach and nestled between Park Shore and Pelican Bay, Naples Cay is a hidden jewel that offers a unique level of privacy and tranquility, yet is within walking distance to fine dining, shopping and entertainment to Venetian Village, Waterside Shops and Artis-Naples. Baypointe At Naples Cay Naples Cay Condos: C.15282 - This 3 BR/3 BA 9th floor condo in Baypointe at Naples Cay offers TWO LARGE LANAIS with spectacular views! From the west lanai is the Gulf and Clam Bay; from the east lanai, views of the city. NINE FOOT CEILINGS. PET FRIENDLY BUILDING that allows for two pets, no weight or height restriction. Beautifully remodeled kitchen with GE Monogram stainless steel appliances, including induction cook top and wine cooler - perfect for entertaining. Brand new water heater installed Feb. 2019. Baypointe at Naples Cay just completed an amazing renovation of all common areas: lobby, community room with large caterer's kitchen, new sunset deck with two fire pits, owner lobbies (3 units per floor), three guest suites, and even the garage was painted. Must see! Just steps to the beach and nestled between Park Shore and Pelican Bay, Naples Cay is a hidden jewel that offers a unique level of privacy and tranquility, yet is within walking distance to fine dining, shopping and entertainment to Venetian Village, Waterside Shops and Artis-Naples. Baypointe At Naples Cay Naples Cay Condos: C.15650 - Breathtaking is the only way to describe the sweeping north views of the Gulf and Clam Bay from this 14th floor condo in Baypointe at Naples Cay! Large lanai, two large master bedroom suites offering water views, large den that could be used as a third bedroom or office. NINE FOOT CEILINGS. PET FRIENDLY building that allows for two pets, no weight or height restrictions, which is rare. Brand new water heater Nov. 2018. Baypointe just completed in Dec. 2018 a major renovation of all common areas: lobby, community room with large catering kitchen, owner lobbies (3 units per floor), three guest suites, a new sunset deck with two fire pits overlooking the Gulf ~ even the garage has been painted. Just steps to the beach and nestled between Park Shore and Pelican Bay, Naples Cay is a hidden jewel that offers a unique level of privacy and tranquility, yet is within walking distance to fine dining, shopping and entertainment at Venetian Village, Waterside Shops, and Artis-Naples. Club At Naples Cay Naples Cay Condos: Remarkable may be an understatement. Sophisticated coastal design in this well-appointed 2+ den condo nestled in quiet enclave of The Club in Naples Cay. Beautifully renovated with materials expressing understated eloquence. Porcelain tile flooring throughout. Renovated kitchen with custom soft close cabinets and appliances. Endless countertops of Taj Mahal quartzite dancing with sunlight as the perfect backdrop to panoramic views of Little Clam Bay and Naples beaches. Bathrooms have been totally remodeled. The attention to detail is beyond exceptional. Panoramic views to the W-NW-E makes this home particularly desirable. Enjoy the view of protected mangroves that harbor Florida wildlife. No shortage of amenities, The Club at Naples Cay offers a launch for kayakers and paddleboarders alike, swimming pool and spa, private beach boardwalk and multiple clay tennis courts. Offering the privacy and tranquility known to the Seagate area, while still maintaining close proximity to world renown shopping and fine dining. The Club at Naples Cay is located within a 24-hour manned gated beachfront community. We encourage you to see this home for yourself before it is gone. Club At Naples Cay Naples Cay Condos: C.15077 - Enjoy beautiful sunsets and views of the beach from your terrace at The Club of Naples Cay. Just steps to the beach! This updated unit is offered as furnished. Granite countertops and wood cabinets in the kitchen and bathrooms. Tile flooring throughout. GREAT RENTAL OPPORTUNITY! Naples Cay is a private, guard-gated beachfront community nestled between Park Shore and Pelican Bay. Walk to Venetian Village, Waterside Shops and Artis-Naples for fine dining, shopping and entertainment. Centrally located in Naples. Westshore At Naples Cay Naples Cay Condos: C.15255 - Sleek and sophisticated, this Westshore at Naples Cay beach condo offers expansive Gulf Views. Lives like a boutique 5 star resort! Impeccably designed and ready to enjoy, in addition to great rental opportunities. Just steps to the beach. 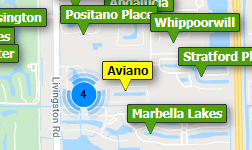 Centrally located in Naples. Naples Cay is a true beachfront community, guard gated 24/7. Walk to nearby Venetian Village, Waterside Shops and Artis-Naples for fine dining, shopping and entertainment. Club At Naples Cay Naples Cay Condos: C.14212 - Your dream beachfront vacation home is here! Beautiful Gulf views greet your eyes as you open the door and keep you in awe morning through sunset. Originally a 2 bedroom plus Den, this home was remodeled to provide plenty of comfort to those in need of a three bedroom property. Easy maintenance allows you to make the most of your time here enjoying the balcony, sun drenched beach, tennis, canoeing, kayaking in the impeccable surroundings. Perfect property for anyone seeking the Naples lifestyle or for an investor looking for rental revenue with guests in place through season. Club At Naples Cay Naples Cay Condos: Enjoy panoramic views of the Gulf from the balcony of this totally renovated unit! All windows are new and are hurricane impact to code! Gourmet kitchen with marble counter tops and all new modern appliances. The unit has been professionally decorated with custom cabinetry, furniture and bedding, and wide oak plank floors. There are even power shades in the living room and master bedroom, 3 flat screen TV's, and a new air conditioning system. A great opportunity to own an incredible beachfront property that generates nearly $100,000 of income!! Close to restaurants and shopping at the Waterside Shops and the Village Shops. Westshore At Naples Cay Naples Cay Condos: C.14916 - Enjoy sunsets and Gulf views from your terrace. Updated kitchen with granite countertops and newer stainless steel appliances (2017). Brand new Bosch A/C Nov. 2017. Many updates throughout. Offered furnished. GREAT RENTAL OPPORTUNITY, just steps to the beach! Walk to nearby Venetian Village, Waterside Shops and Artis-Naples for fine dining, shopping and entertainment. Centrally located in Naples. Club At Naples Cay Naples Cay Condos: Fabulous views of the beach and Clam Bay from your lanai. The unit is unfurnished so you can vision your style and décor. One of the few luxury condo buildings in Naples that allows for short term rentals. Walking distance to Waterside shops , Venetian Village and fine dining. Need professional assistance selling your property at Naples Cay Naples? Find out how an Area Specialist can help to generate more property exposure in order to get the most money for your investment in the least amount of time.